requires a larger down payment (10% minimum) and has a higher interest rate. Some people don’t like that rule. Such as a certain 38-year old living in Washington, D.C., who decided to “fudge” on his loan application. Mr. Imran Awan applied online with his credit union for a home equity line of credit. He made the application in his wife’s name and stated it was her primary residence, owner-occupied. The credit union approved the loan and gave them $165,000. Awan then sent the money to his father in Pakistan. One year later, in January 2017, Awan paid off the loan. But wait, the story is not over. The property was not owner-occupied. There were renters living in the house all along. He had deliberately lied on his loan application in order to get the line of credit that is not allowed on rental properties. Both husband and wife were arrested on felony charges. I don’t know if Awan’s wife was blindsided or if she was in on the scheme, but I do know that Awan pleaded guilty in exchange for his wife being dropped from all charges. The lesson here is that paying a higher interest rate for a non-owner occupied home (or foregoing a line of credit) is better than being awarded a new primary residence in prison. When Can a Person Turn Their Primary Residence Into a Rental? The standard Deed of Trust allows a home owner to turn their primary residence into a rental after one year of occupancy. Then the person can purchase another primary residence and repeat, and then purchase a third home. And so on. This is one way to acquire a portfolio of investment properties, and it is perfectly legal. * It is expected that the prosecutor will not ask for a prison sentence for Imran Awan because he paid back the loan in full. But one attorney says he could get six months. Ultimately, the judge will decide. 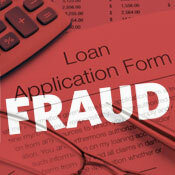 A brand new fraud scheme has hit home buyers, and it’s taking victims from all across America. Here’s what happens. The borrower receives an email from their title company with instructions on how to wire their funds to close. The home buyers — or home owners refinancing — have been expecting this information, so when it comes in, they readily respond and wire their down payment and cash to close. BAM! Unbeknownst to them, they have just sent their money to scamsters sitting in their evil darkness in God-knows-what-country. So far, these criminals have not been caught. And so far, these victims have not received their money back. How now are they going to be able to close on their home? ALERT: Do not wire any money until you first pick up the phone and verify with your closing agent and loan officer that the instructions you have received are true and correct. Do not take chances — double check! Please help get this information out via social media, because this is happening all across the nation. Thank you and be safe. Charles Head and his brother Jeremy Michael Head have been sentenced to prison for a fraud scheme that cheated homeowners in California, the Northwest and East Coast out of their homes and damaged their credit. According to the FBI website, the Head boys and their team of 16 cohorts preyed upon home owners who were seeking help with their mortgages. These liars secretly added individuals who were friends and family members to the home owners’ real estate titles. Once that was accomplished, they proceeded to do maximum cash-out refinances. Altogether, they stole $15 million for themselves, which they shared with their team. Charles Head was sentenced to 35 years in prison, Jeremy Michael to 10 years. The 16 other convicted fraudsters are awaiting sentencing. Like many home owners who have tried to secure a loan modification for their mortgage, Philip Linza felt like he was hitting up against a brick wall. Over and over again. His lender, PHH Mortgage, made one bumbling error after another, and as a result, Linza, a resident in Sacramento, CA, almost lost his house. Fed up, he sued in a court of law. The jury, presumably also fed up with the ineptitude and shenanigans of big banks, decided to award Mr. Linza an unprecedented amount of money: $514,000 in compensatory damages plus $15.7 million in punitive damages. Perhaps the award is a wee bit high. 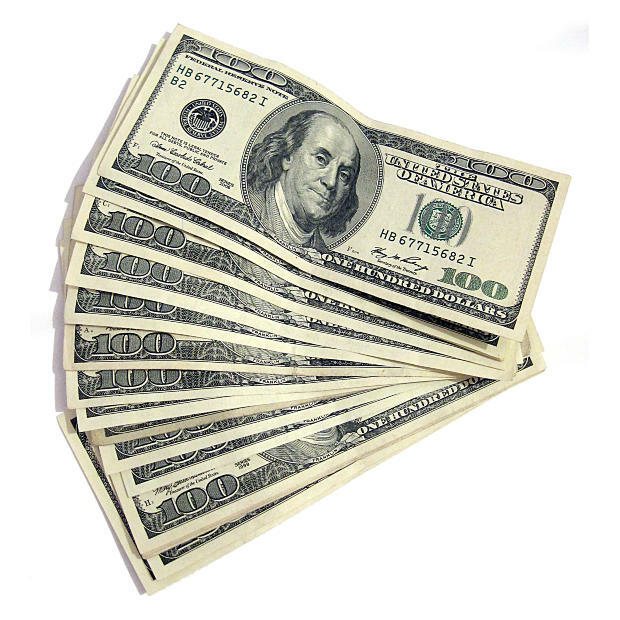 A typical jury award for mortgage fraud would be in the $15,000 to $100,000 range. So I can see why $16 million would be a big pill to choke on. Plus, he does still have his home. Now with a review and appeal as the logical next steps, one has to wonder if the home owner will ever see a dollar of that money. Everything about this story seems over-the-top to me. What do you think? I wrote that in 2009. Fair warning I wish more people had heeded. The Federal government has shut down 85 websites for preying on vulnerable homeowners through their shady, deceptive ads on Google. No surprise,Google made a fortune off of those fraudulent ads. Now Consumer Watchdog is urging Google to donate that “tainted revenue” to a fund helping out victims of these scams. It remains to be seen if that will happen. The most common online ad that people suckered for was a scheme that told homeowners to stop paying their mortgages and instead divert their funds to a company that would get them a good loan modification. It included transferring property deeds (ownership) to the scammers. And as if that wasn’t enough, they also had to pay an upfront fee. These home owners were vulnerable because they used the Google search engine to look for a “loan mod” or a “stop foreclosure,” and then clicked on the ads that showed up. Like I said, “Stop clicking on mortgage ads.” And that includes those ads that offer an impossibly low interest rate to home buyers, too. I’ve looked at those amazing, rock bottom rates, and invariably, the fees are so high, it makes no financial sense whatsoever. With rates so low now, borrowers are better off paying no points and one (reasonable) flat lender fee. Some of the deceptive interest rate ads show up on good, legitimate websites, so don’t be fooled. Feel free to post a comment. For more details about the Google ad bust, see here.